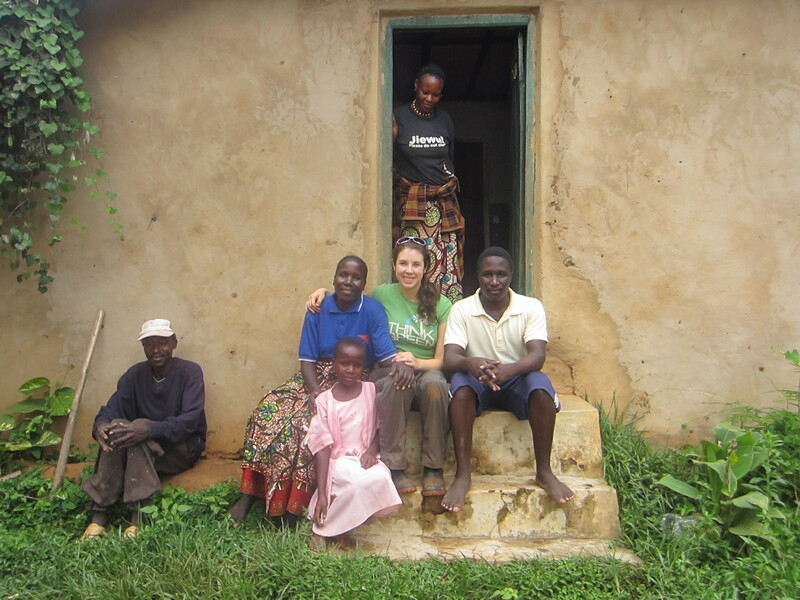 This post is actually my final case study for VSO Tanzania as part of our reporting format. But I thought I’d share it here since I’ve been so slack – and there are plenty of other stories that I still hope to tell on this blog! KAVIPE works with community based organizations (CBO’s) in Kamachumu Division. The CBO’s are generally made up of smallholder farmers and aim to improve income generation within the group. KAVIPE works alongside the CBO’s to support their activities, foster the idea-generating process and improve market access. Although KAVIPE was put in place by World Vision (WV) and was intended to maintain all WV’s activities, this is simply not possible with no funding and only 5 Board Members supporting. KAVIPE has chosen to focus mostly on the agricultural aspect of WV’s work but still maintains a connection to the original, more varied projects. KAVIPE’s role is restricted by lack of resources to support, lack of access to information and education to come up with new ideas, and lack of infrastructure and market environment in Kamachumu. CBO’s that are established to increase income among the members are often short-lived, people losing interest, drifting away from meetings, until the group exists in name only. Many such groups were established by World Vision as a way to distribute funds in the community. The consensus among community members is that the projects funded by World Vision sometimes lacked sustainability. An example of this is the establishment of two women’s groups to receive training and start-up materials for batik-making. After the initial training in around 2009, the groups did not continue to make batiks, citing lack of materials and funds to purchase materials as the problem. Lack of motivation to make batiks also seemed to be an issue. However, these women’s groups continued to ask KAVIPE for help and support in projects. What to do? Thinking over the issue, the biggest barriers faced by the women’s groups was the inaccessibility of materials, lack of business know-how, and the complexity of batik-making. The chemicals were difficult to source (not available in Bukoba, only in Mwanza or further afield) and the groups still felt they needed more training to become proficient. Another aspect of KAVIPE’s work is that a partnership was established with the International Citizen Service (ICS) program through VSO. We needed meaningful, useful activities to engage the 20 youth volunteers and the CBO’s. One particular issue we wanted to address in Kamachumu was the use of plastic bags. There was a lot of trash lying around in public spaces and there had been reports of livestock inhaling plastic bags. ICS volunteers could easily engage in activities like litter picks and awareness campaigns. The women’s groups agreed that sewing simple cloth bags would be a feasible activity and they liked the dual angle of creating stylish, hand-made bags and environmental preservation. When searching for groups who might be interested in sewing as a project, the batik group in Kamachumu (Wapendanao) was eager to participate. A livestock group in the village of Irogero elected to form a splinter women’s group, Upendo, and the ICS volunteers identified a third group in the village of Ruanda who were working in tree planting and environmental matters. The Ruanda group, Inua Maisha, was not yet registered with KAVIPE so it offered an opportunity for expansion of coverage as well as reaching community members in need. I wrote a proposal for the VSO Gender fund to support a sewing project in Kamachumu including a multi-day business training for the women, to be proactive in preventing some of the issues seen with the batik-making project. VSO decided it was a worthwhile project and supported the initiative. 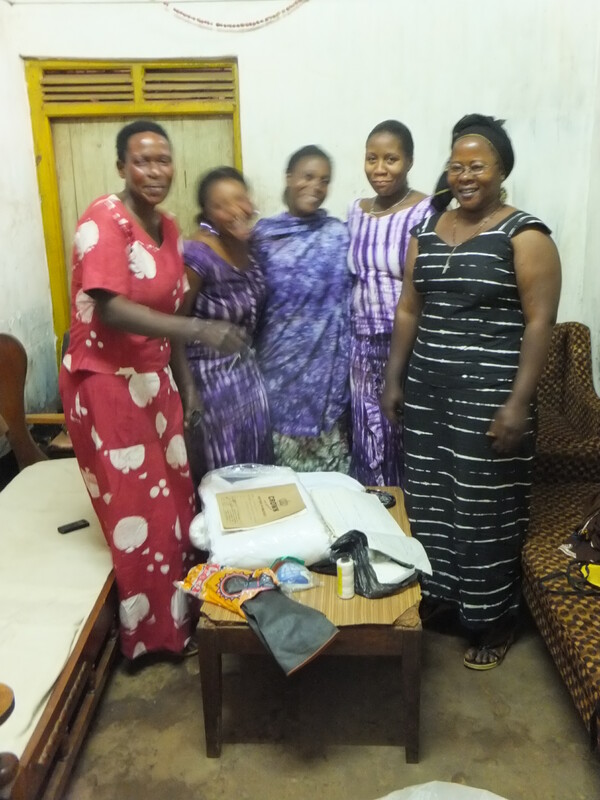 All three groups took the initiative to access sewing machines (by renting or borrowing) and to attend the small-scale, half-day trainings offered by KAVIPE and a sewing trainer from Kamachumu. They experimented with bag designs alongside ICS volunteers, the sewing trainer and supervisors from the KAVIPE Board. After a long period of collaborative working through designs, the second step, business training, was carried out. This spanned the first two ICS cycles at KAVIPE. There were 40 attendees at both days of business training and topics included managing group finances, making a business plan, and registering a CBO (with the government and being part of KAVIPE). All three groups received a small amount of fabric and thread of different colors to make a first batch of bags. Results were excellent! Each group developed a look for their bags and since we couldn’t find an accessible way of screening logos on the bags, the women innovated yet again to develop cross-stitching method of writing the name of their group and KAVIPE on the bags. A community member experienced in cross-stitch volunteered her time to train all the women in the technique. Djoke sports a lovely bag made by Wapendanao! Each group has now received more fabric, their last start-up input. KAVIPE, through the VSO funding, has purchased 3 sewing machines which will be leased to the member groups for 8,000 Tsh per month (compared to the lowest previous rental price of 15,000 per month). The machines will be rented only if the groups submit a business plan to KAVIPE and the rentals will be reviewed every 6 months. A total of about 133 bags had been produced when I left Tanzania in January, and are being sold at a cost of 1000-1500 depending on the size. Each group had made at least 25,000 Tsh, and will be supported to use some that money to purchase more fabric to continue and expand production of the bags. The community is absolutely in love with the idea. You see people on the streets carrying bags of different designs, with papers, shopping, supplies. One group (Wapendanao) have received a contract from a local school to make bags for children to carry their books. 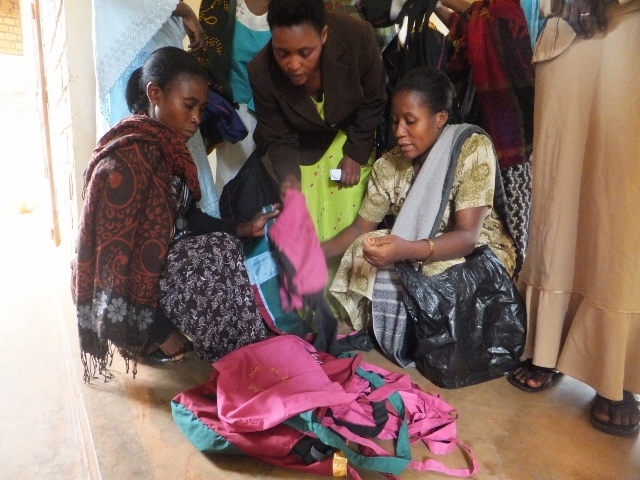 In Bukoba, two shopkeepers have shown interest in buying or selling the bags. The owner of Fido Dido, the “mzungu shop” (aka supermarket) in town, has commissioned Upendo to make a sample 5-10 bags with “Fido Dido” cross-stitched on them, which he plans buy and distribute to customers for free. The winning aspects of these bags are the simple design and the novelty, sparked by the enthusiastic ICS volunteers and the three women’s groups. VSO volunteers appreciated the design and bought the bags when I brought them to VSO Tanzania’s Annual Volunteer Conference (AVC). 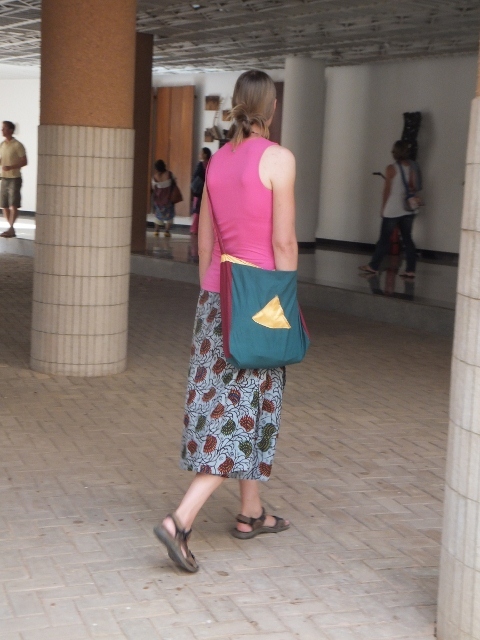 Community members are proud to be able to afford and carry a locally-made bag and in general, are not interested in something more polished or “nicer”. The bags commissioned for Fido Dido were to be simple and cheap, so that when people lose them it wouldn’t be a disaster. Of course, such a cheap product is not immensely profitable – so the future of this project could be to get further training for the women to diversify, including more complex and high-quality bags for higher-end markets. Already Upendo group has innovated further and started to make cloth change purses, of which they sold 22 in February-March alone! Another shining achievement of the project is to have increased the women’s confidence and knowledge in innovation, marketing and business planning. All three groups, and KAVIPE, have increased their networks and reputation along the way. The KAVIPE community selected this project as the most meaningful impact thus far of the KAVIPE-VSO partnership because it is so visible and has increased the income-generating ability of the women of Kamachumu.